Last year I built the website for a new documentary due to premiere this year about the issue of land-grabbing in Africa. I'd first been introduced to the production team at an remarkable week as part of the Swim Lab, and been struck silent as the director, Joakim Demmer, explained in plain terms how while we are sending billions in aid to countries like Ethiopia, we are also, inadvertently, helping big foreign companies take people's land, throw them off it, and even imprison them if they complain. I still can't quite believe this happening, inadvertently with our help - and so can't wait to see the film which explains the process. At a time where economic migrants are coming from so many countries where the locals livelihoods have been ruined this issue would seem to be one of great relevance to anyone trying to offer a solution to the #migrantcrisis other than 'let them drown' or 'let them come here'. Anyway, in clips from the film, Pastor Omot Agwa, explains his dreams of creating a safe national park after a million hectares of indigenous land was sold off to investors and the people who've lived there for generations, kicked off. Omot talks about not fearing death as much as fearing torture, but now he's now been imprisoned, facing both his own - and the filmmaker team from WG Films' - worst fears He was arrested while heading to a workshop about food security - he's never, as far as I know, had any link to anything other than peaceful campaigning. But he's now facing charges of terrorism simply because he dissented! How can that word be an acceptable label given to an activist in a country trying to be taken seriously in the world. In my simple understanding, because Ethiopia participates in world trade, whose coffee, music and culture I was drawn to, it is hard to reconcile. Lem Sissy's R4 Homecomings where he described traveling to Addis Ababa were brilliant - I sat in the audience for one rehearsal. But this is someone seemingly standing against a cruelly corrupt sector, driven with bribes, backhands and lots of foreign meddling. I'm very naive about these things, and perhaps I'm missing something, but clearly he shouldn't be in prison for trying to go to a workshop in Kenya. Is Ethiopia part of the wider world or not? He's an important voice in helping us in the west figure out how to treat developing, majority-world countries like Ethiopia better. 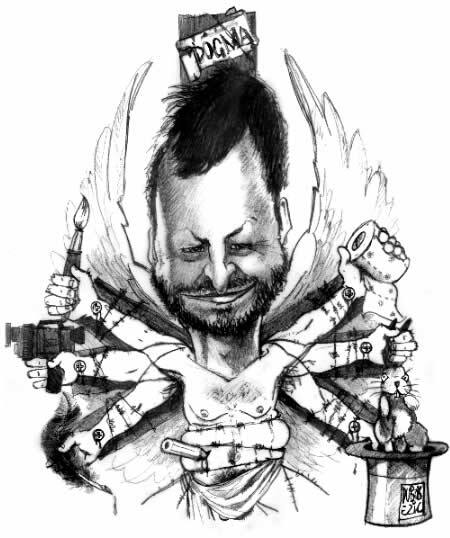 The only people who can suffer from his free speech are the rich foreign businesses (or perhaps the officials so dependent on their bribes as to not be able to cope without). 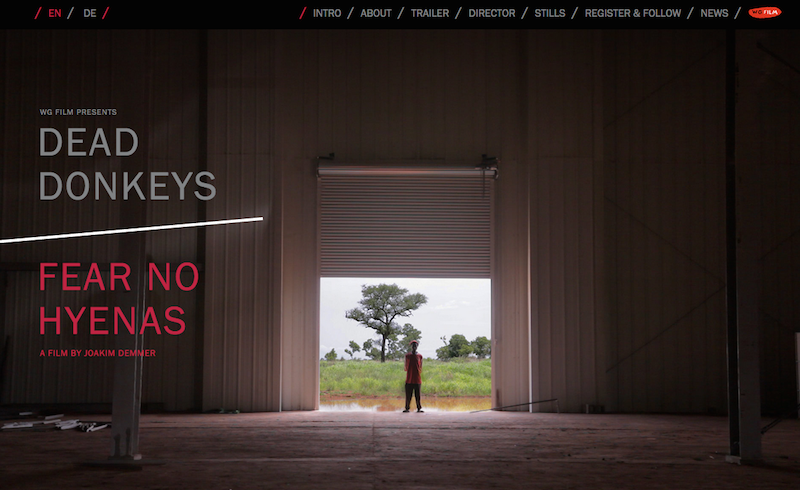 Dead Donkeys Fear No Hyenas - TRAILER from WG Film on Vimeo. Anyway, it's still a bit unclear to me what the best thing is to do other than bring your attention to an Indiegogo fundraising appeal for the families of him and the other defendants. The families are worried for their security, and each have lost their income. 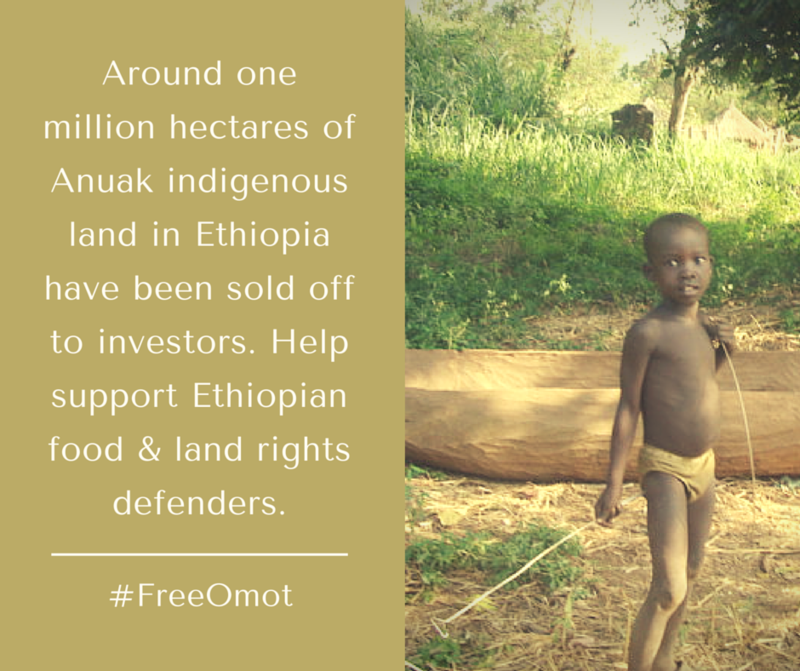 Once their safety is ensured I imagine the next priority is to petition the Ethiopian embassies and relevant ministries for the release of Omot, Ashinie, and Jamal but imagine Human Rights Watch and Front Line Defenders, who are working to raise awareness around the case will suggest the best approach. If the subject of your documentary is imprisoned and charged with terrorism, perhaps because they spoke in your film, what should you do? Ideally before this happens. To anyone who cares about human rights, what can we do about campaigners being imprisoned under terrorist charges? And to anyone concerned by the ongoing migration and refugee crisis, or just rising inequality in the world, what are our responsibilities as relatively wealthy westerners, when the (unintended) consequences of globalisation can lead to significant suffering and injustice, to the profit of companies whose tax revenues fund our own services. Netribution 1 was great in that it was all HTML and a bit of CSS – 15 years on not a single page has ever been hacked and most of them are still there. Netribution 2.0 launched in 2006 on a CMS and unless CMSs get regularly upgraded they eventually get hacked or break. This just happened here, so as tempting as it has been to leave this space as an archive and change nothing, reality refused: I had to either take the site down and lose everything, or fix it. It's been rebuilt from scratch with an upgraded dbse (to the shiny joomla 3.3), and the user profiles & community section is now offline as it would cost $99 to upgrade it - but overall I've committed to a responsive redesign that risks looking a little like a rebirth, even if it isn't. To preserve a past I would sometimes rather forget, Netribution 2 continues in some form. Hopefully I'll re-theme it soon. There's a rather funny viral doing the rounds by UK blog the Shiznit about what if the 2015 Oscar nominations told the truth, following similar posts they've done in previous years. 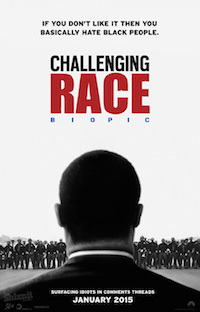 I didn't feel like sharing it however because their poster for Selma ('Challenging Race Biopic: if you don't like it then you basially hate black people') troubled me somewhat. I had to see it to be sure - and no longer on the press list for freebie previews, I got my chance when Pathé's advertising on the #MLK hashtag alerted me to UK previews for Martin Luther King day (a rare case of social media targeted advertising winning me). And I came home compelled to write, because it feels there's a risk people might think the film was a biopic or even specifically about race, as opposed to a story about the universal struggle for justice, and methods to achieve that. Selma is not a Biopic. A biopic is the story of someone's life - true for Theory of Everything and Imitation Game - but not Selma. Selma covers one episode in Dr King's life - the attempts to peacefully march between the city of Selma and Montgomery in Alabama to change the law around all Americans' right to register to vote, creating a piece of legislation considered the most effective civil rights legislation in America's history. It's not only about Race. As a white guy I don't want to labour an "and it's also about us!" angle, but Dr King campaigned almost as hard on poverty as on race, pointing out in the film how the poor white person is encouraged to be racist by the super-rich whites in order to keep the poor in general disunity, a theme as relevent today as migrants get blamed for a financial crisis not of their creation (and a view well expressed by a rapping Warren Beaty in Bullworth). And while it's certainly challenging to watch parts of this film, witnessing scenes of brutal and senseless violence, it's it's also un-apologetically inspiring, showing - at a time where our news is full of scenes of violence, and terrorism - [SPOILER] that non-violence works [/SPOILER]. Massively, and perhaps disarmingly, to some people in power. And it's this last point - that the film is a genuinely inspiring examination of the power of non-violent resistance, of mass protest in the face of brutal state violence - that should make all of us who care, more sensitive to any efforts to belittle such an important film. Whether that's the backlash from Lyndon Johnson's people that the film didn't present him as faultless (he came off pretty well IMHO), or voters of the awards ceremonies using that as an excuse (as if accuracy stopped Braveheart getting five wins), or even just this casual cynical-but-comic putdown of the film as just another worthy race biopic, as if to say we all need to pay lip service to it only to offset some privilege guilt - rather than, 'here is an inspiring TRUE story of how people uniting and acting peacefully changed the world' - as relevant today as ever, perhaps even more urgently so, given how successful Dr King was back then. And doubtless as unnerving to some people in power as it was then. 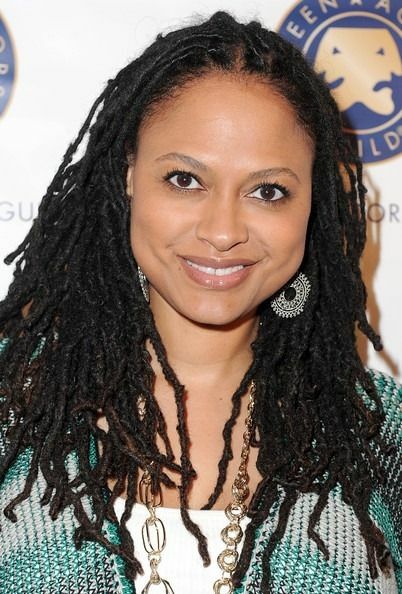 There is, of course, another reason why the film is inspiring - from the perspective of this website's traditional focus - and that's the story of writer/director Ava DuVernay. Indeed if Netribution was still a weekly magazine rather than an occasional echo chamber for my lingering thoughts, I'd be doing everything I could possibly do to get an interview with her for a future edition - as she seems to represent everything good and inspiring about the independent spirit of filmmaker. It was only in 2008 that she quit her job as a publicist, and taught herself filmmaking while directing a documentary on a micro-budget, before making her narrative film debut in 2011. She self-distributed this and then made another feature - winning Sundance Best Director award (the first time it was ever won by an African-American woman), and self-distributed that as well, creating a distribution network for African American films to find and connect with audiences, creating a network of cities to screen in and group of backers for future projects. In short she's part of a new generation of filmmaker who, using modern tools and technology, and of course considerable hard work and determination) floated straight up through the a number of traditional glass ceiling. She talks inspiringly about how exactly she did this at the Film Forum (video). And of course, there's still the tiniest of chances that Selma could become the fifth film in Oscar history to win Best Picture without a best director nomination - after Argo, Driving Miss Daisy, Grand Hotel and Wings - the voting doesn't take place for almost another month. So please see this film and talk about it if you want to believe that change is possible but aren't sure how to achieve it, or if you have any doubt about the power of non-violence. You could also see it if you want to get a little better understanding of someone as significant as Martin Luther King, or even simply to watch a brilliantly-made and gripping film. Failing that, please just see it if you want to witness evidence of how much one person can achieve when they put their mind, body and soul into doing something for all the right reasons, be that Dr King or Ava DuVernay. I arrived for once a little early, as the last gold balloons were being lifted into place. I decided to walk the block, attempting to hide my game industry noobiness with some assertive power walking. Ah a river. I will gaze across it with a sense of confidence, a metaphorical eye on the future. All is fine. 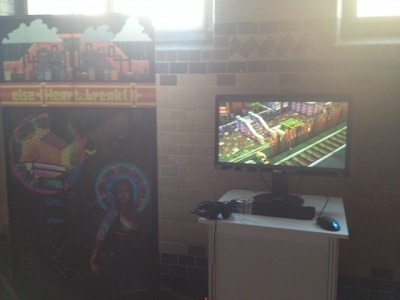 So as I was scribbling this blog in a cafe in Bristol, the guy opposite told me "I never play video games, not since Duke Nukem in university". And then a few miutes later he mentions playing something on his phone: Words with Friends. He's got four games on the go and plays all the time, but it's not a video game or a copmuter game in his mind, and suddenly it hits me that most of the world with smart phones are playing games - be it Solitaire or Suduko, but many might not even know it. It was a big wake up for me (and I recommend him Ruzzle - a kind of Scrabble meets Candy Crush that I played at the conference from a stand that gave me much needed free socks). Anyway, back to Malmö, home to the Nordic Game Conference. I was not quite sure how I'd ended up with my pass. I'd been tipped off by a game developer about a free Unity for Storytellers session from Nordic Transmedia that afternoon and after sprinkling the signup form with a few words it had somehow grown into a conference badge, and here I was (thanks Hans and Cecilie!). 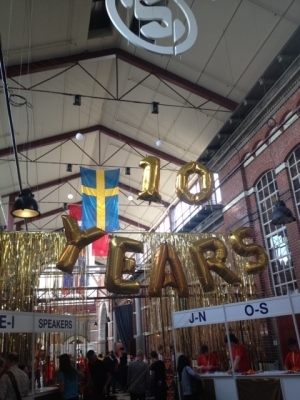 With the gold balloons bobbing as I returned to the main hall I saw it was the conference's tenth year, just like it was ten years since I was last in Sweden, an experience I've still not quite got over. So I wonder inside and the first big stand I see is for Oculus, and I watch a man inside what looks like a simulation of a living room with two kids playing a sword fight in front of him. It's a virtual family and in the middle of this slightly cold exhibition space, he's able to pretend he's in a nice home, surrounded by his virtual kids. The guy pulls his headset off looking flustered. 'Try it without headphones on' he's told, but he looks uncomfortable and pulls away. Something about the sight of it all puts me off wanting to have a play. I just want to find him and ask what it was like - but I never get a chance. I instead go and play with some nice big Wacom pads as I think about it all. Like many a nerd I've of course been following the Oculus Rift since the initial Kickstarter, and after reading about how players of Oculus were getting lucid and very vivid dreams - even in people who hadn't remembered a dream in years - I became fascinated how this insanely powerful and immersive piece of technology could impact our neurology. I remember a short film I saw at IDFA a few years back about how virtual reality was being used to treat chronic pain with a form of mindfulness training using virtual environments that responded to breathing. As the 'player' wondered around a virtual space, trees would blow and blossom as their breath slowed, and they calmed down, helping to reinforce the neural pathways that associated being calm and mindful with the 'reward' of a pleasant, blissful environment. VR has also been used quite a lot with post-traumatic stress disorder apparently pretty successfully. "Don't make us feel small. Remind us to be larger." "From another perspective, the news is not good at all. Everybody's miserable. Everybody's had about enough. People are sick to death of being valued only as potential buyers, as monetary grist for some modern-day satanic mill. They're sick of working for organizations that treat them as if they didn't exist, then attempt to sell them the very stuff they themselves produced. Why is a medium that holds such promise — to connect, to inspire, to awaken, to enlist, to change — being used by companies as a conduit for the kind of tired lies that have characterized fifty years of television? Business has made a ventriloquist's trick of the humanity we take for granted. The sham is ludicrous. The corporation pretends to speak, but its voice is that of a third-rate actor in a fourth-rate play, uttering lines no one believes in a manner no one respects. Oh well. That's OK. We'll get by. We've got each other. I have to laugh as I write that. The Internet audience is a strange crew, to be sure. But we're not talking about some Woodstock lovefest here. We don't all need to drop acid and get naked. We don't need to pledge our undying troth to each other, or to the Revolution, or to the bloody Cluetrain Manifesto for that matter. And neither does business. All we need to do is what most of us who've discovered this medium are already doing: using it to connect with each other, not as representatives of corporations or market segments, but simply as who we are... Tell us some good stories and capture our interest. Don't talk to us as if you've forgotten how to speak. Don't make us feel small. Remind us to be larger. Get a little of that human touch." The third feature from artist-turned-director Steve McQueen needs little introduction. It's a visceral, unpredictable tale of life as a slave in 1840s America, based on the true story of Solomon Northup (played by Chiwetel Ejiofor, who, as ever, disappears effortlessly into the demanding role), who was born a free man in New York. The 57th BFI London Film Festival opened with this belter of a thriller, based on the real-life hijacking of a US container ship by Somali pirates in 2009. 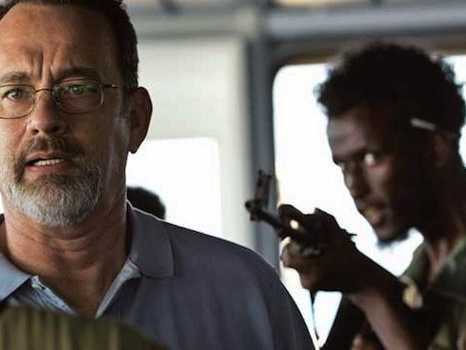 Tom Hanks stars as Captain Richard Phillips, an American, whose job it is to steer the MV Maersk Alabama through the danger-filled Somali Basin to mombasa, Kenya. Five new films made by members of the Co-operative British Youth Film Academy have been showcased to 500 students at a red carpet screening in Manchester. A co-operative of twenty colleges and universities, The Co-operative British Youth Film Academy combines professions from the worlds of film and education to give young people unique opportunities to gain hands-on experience of the thrills and challenges of a real film set. It is backed by The Co-operative as part of its commitment to inspiring young people and, is designed to bridge the gap between education and professional employability, offering accessible opportunities for young talent to be nurtured and developed. Last year, The Co-operative British Youth Film Academy (BYFA) movie "The Rochdale Pioneers" – co-directed by film-makers Adam Lee Hamilton and John Montegrande who came through BYFA's ranks – was screened on Film4 as part of the channel's British Connection Season. The new films, which were given a red carpet screening last month in city-centre Manchester, were filmed at movie making summer camps based at member colleges: Grimsby Institute; Kirklees College; Stoke on Trent College; Wigan and Leigh College and Yale College, Wrexham. The 6th international festival of short films made by people with learning disabilities is ready to roll. Oska Bright is unique. It is the first and only festival managed and promoted by learning disabled artists as a showcase for their creativity and skill as film-makers. Submitted films are selected by a panel and there is a variety of categories for which awards are offered. There are networking opportunities over the three day event, projections onto the outside of the venue and it culminates in a lively awards ceremony. Exeter Phoenix Digital is launching three new Short Film Commission schemes for 2013. We are looking for proposals to shoot short, digital format films of 5-12 minutes duration. Films must be based on an original script or treatment but can be of any genre and are to be filmed by September 2013. Exeter Phoenix Digital will award successful proposals a commission of £500, which can be used towards the film making process. Proposals are invited from individuals and groups who reside in Devon, UK and we actively encourage applications from students and first time filmmakers, as well as those with previous experience. All applications must be submitted using our online application process. Proposals are invited from individuals and groups who reside in the UK (England, Scotland, Wales and Northern Ireland) and we actively encourage applications from students and first time filmmakers, as well as those with previous experience. The 2013 Crowd Funder Short film Commission will be a match fund award of £500 on the condition that the applicant can raise equal funds through Crowdfunder.co.uk. The applicant will be expected to create their own online campaign to raise funds of up to or exceeding £500. Submissions are invited from Monday 3 December. 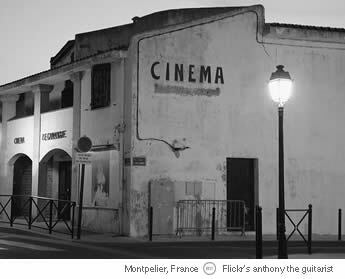 When you’re deciding what film releases you want to see this autumn, don’t forget to find out what indie films are being shown at your local cinema. Cineworld has always been a solid supporter of indie films and has several of them on offer over the next few months. Showing this month in Cineworld theatres is the indie film Ruby Sparks. Written by actress Zoe Kazan, who also plays the character Ruby, this is a story about a struggling writer who brings his fantasy woman to life. Are you made of the ‘write’ stuff? a youth film academy has started its search for screenplays to be made into full length feature films next year. The Co-operative British Youth Film Academy gives 14-25 year-olds unique experiences of the movie industry and is seeking new scripts or, screenplays of classics, for next summer’s filming schedule. It is backed by The Co-operative Group as part of its commitment to inspiring young people and, this year, it shot four movies at film-making summer camps which combine professionals from film and education to mentor students and offer everything from acting to make-up and camera through to post-production.